Item #43093 : Original era manufacture. 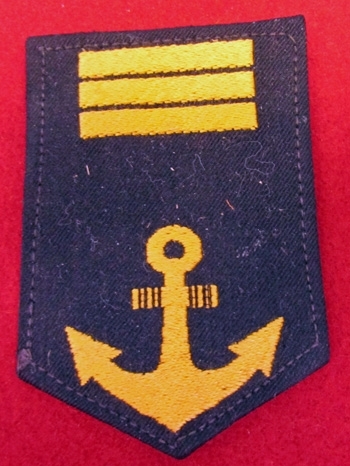 BeVo style embroidered yellow cotton anchor and three bars on a black backing, white canvas reverse. Light age and wear, several in stock, minor details will vary.